When you are looking for the right life insurance policy it’s important to understand the insurance terms and what they mean. We know insurance can be confusing. We want to help remove some of that confusion. Policyholder – A policyholder is usually synonymous with life insured except in a few cases. For example, when parents take out life insurance policies for their child, in those cases the policyholder will be the father or mother (whoever pays the premium) and the child will be the life insured. Beneficiary – The beneficiary is the person nominated to receive the benefits from the policy once the life insured is no more. Usually, people nominate a spouse, child or parents. Basically, the life insured picks somebody who they want to receive money from the policy. Premium – This is simply the payment the policyholder or life insured needs to make in order to purchase the plan. The premium may be payable as a single one-time payment, annual, bi-annual, quarterly or monthly payments. Policy term – Sometimes referred to as tenure, this is the duration of the policy. Life insurance policies can cover you for 1 2, 5, or 10 years. You can also take life insurance policies for up to the age of 100. Premium payment term – This duration may be the same or lesser than the policy term depending on the insurance plan. Premium payment term is the number of years you need to pay premiums towards the policy. Sometimes, you will only need to pay for 10 years and the life insurance will cover you for 20 years. Sum assured – The amount of money the beneficiary will receive upon the death of the life insured. This is also known as the claim amount. Survival benefit – If you survive until the end of the policy term, you might receive a survival or maturity benefit. This means if you don’t die, you’ll get the premiums you paid back plus a few more other benefits. Of course, this depends on the type of policy you have. Renewal – When the policy matures, you will be given the option to continue to be covered under the policy. Grace period – Insurers usually grant a 30-day grace period from the due date to pay the premium. Lapse – If you fail to pay your premium, after the insurer has sent reminders and the grace period is over, your insurance policy will lapse. Reinstatement – If you want to reinstate or revive your old lapsed policy, you can do so by paying up all the unpaid premiums plus interest. Exclusions – These are the events under which the life insurance company will not pay any benefits. Usually suicide is an exclusion for the first year of the policy. Other exclusions include death due to dangerous activities, dangerous sports, and so on. Free-look period – This is a period of 15 or 30 days granted to the buyer of the policy. 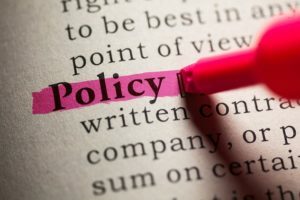 The buyer can read the policy, review the terms and conditions. If you are not satisfied, you can return the policy and receive a refund of the premium. I hope this helps. Let me know if you any additional questions. Remember, I’m here to help.